Sleek and modern, the Fahrenheit tv unit from the Daytona range by Signorini & Coco will add a touch of modernity to any interior. The TV unit includes the TV surround and TV base unit. 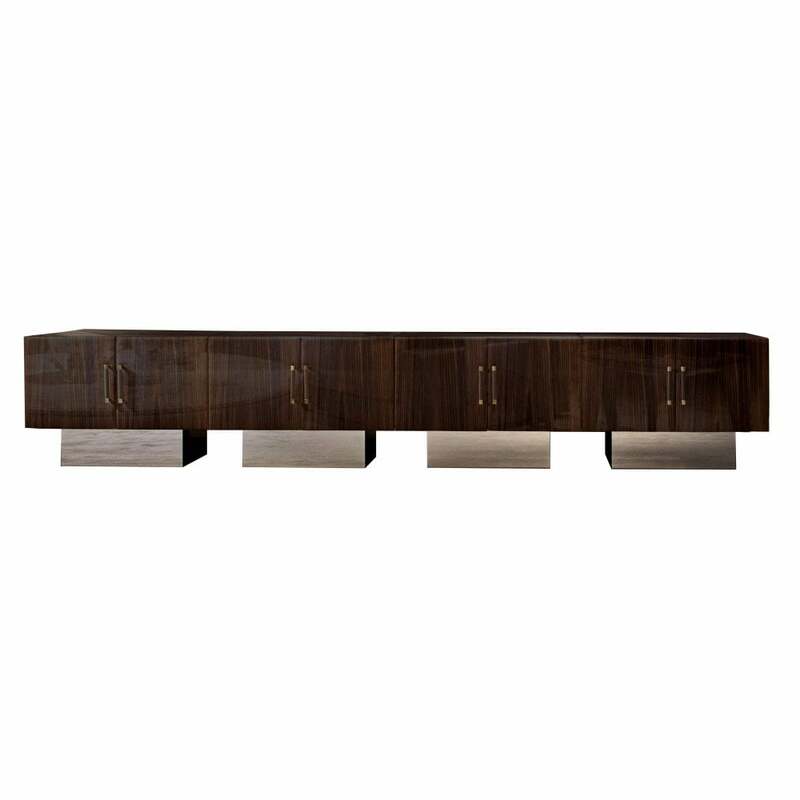 The deep and dramatic, glossy dark walnut veneer extends the length of the surround and TV unit, with four contrasting base blocks to support the luxury design. The combination of complementary materials is enhanced with burnished brass handles on the TV unit adding to the luxurious look. Style in the living room with the Fahrenheit mirror from the Daytona collection for cohesive luxury living.